We flashback to about 30 minutes earlier when Youngho sets off for a meeting with his new legal representative on his own. Too bad Chief Min already predicted Youngho would do so and has his fleet of cars assembled in fornt of Youngho’s garage. 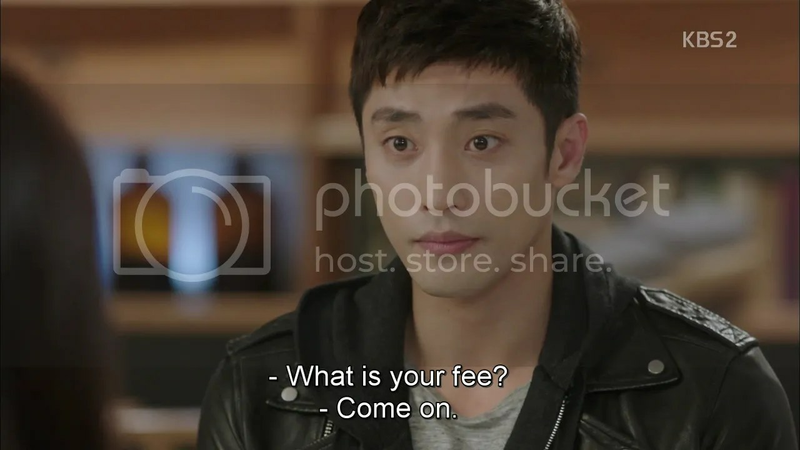 Youngho peevishly agrees to let Chief Min chauffeur him but insists that they take his car. These two are so cut honestly. During the drive Min reassures him that they’re only taking preventative legal measures in case word gets out. Youngho nods but is too busy rereading Jooeun’s texts from the previous night where she thanks him for all he’s done. He then sends her the messages we saw yesterday and she replies as she did then. He texts her once more to say that there’s something he has to tell her and to call her right after she’s done at work. This is the text Jooeun misses. Things play out as they did last episode with Jooeun hyperventilating and leaving, and Youngho following. She thinks back to all he said, about being as secretive as Batman, about having been born with a silver spoon in his mouth, and about how sharing a suite room with him was like traveling to outer space. Youngho tells her to calm down and tries to check her pulse but she shoves his hand away, saying that he really was out of her league. Soojin’s followed and tries to see what’s happening when Chief Min politely leads her away. I like him even more now. The elevator dings and Youngho pulls Jooeun into it, pressing the 20th floor. Youngho asks a still gasping Jooeun to breathe, or they won’t be able to talk, but Jooeun wants to know what exactly they’re supposed to talk about. She says that he knew she hated deceptive people. Ouch. The elevator dings. 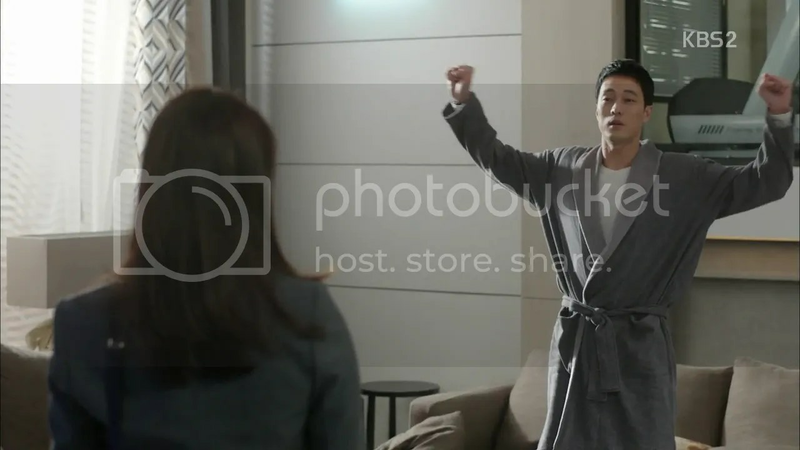 They’ve reached the 20th floor, but this time Jooeun punches the second floor. She retorts that she doesn’t date liars. .
She quietly says that she overreacted. The doors open and she says they should head out. Youngho watches her leave. 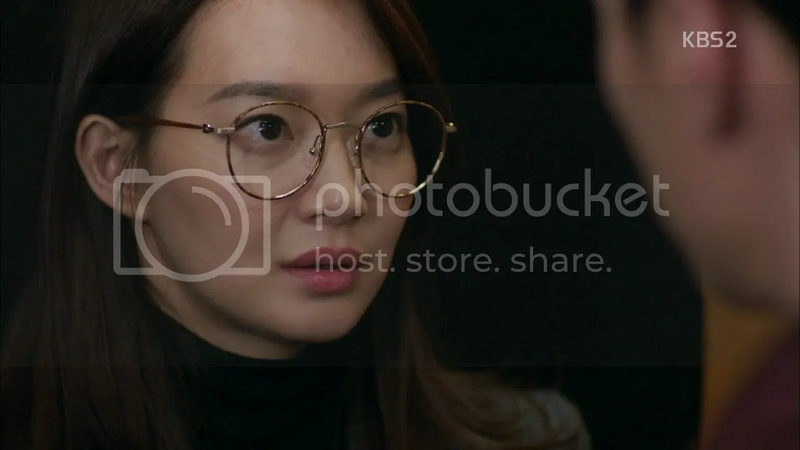 Jooeun studiously avoids Youngho’s gaze all throughout the meeting and writes in her notebook. Youngho broodily watches her in a fashion that Chief Min doesn’t miss. 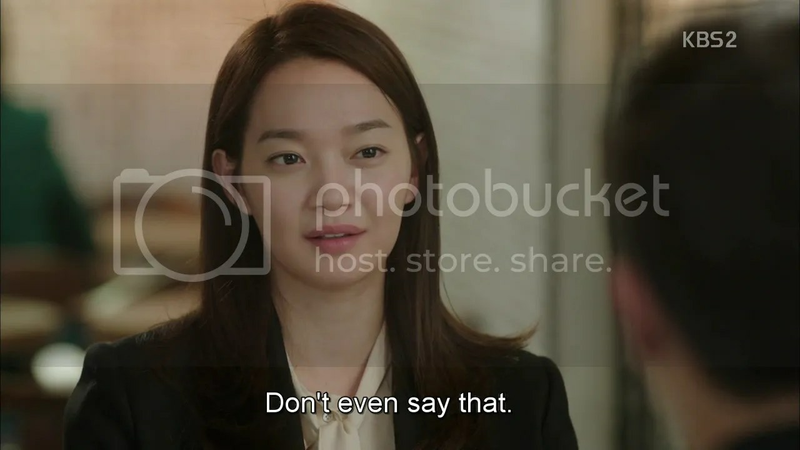 She pauses every time she hears Youngho addressed as ‘Director’. Once the meeting ends, Min invites them all for lunch. Jooeun whispers to Soojin that she can’t make it and to please make her excuses to the other party. Soojin, ready to cut her as ever, says that Jooeun should do it herself seen how well-acquainted they seem. 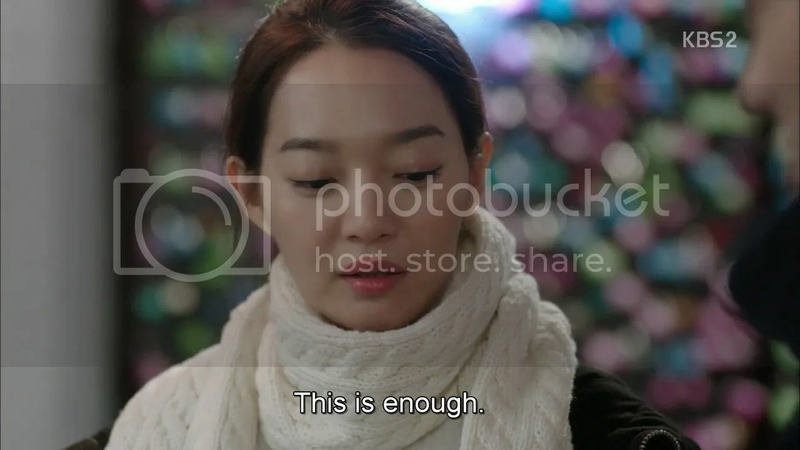 Jooeun makes to leave when Youngho stops her, saying that they need to talk. 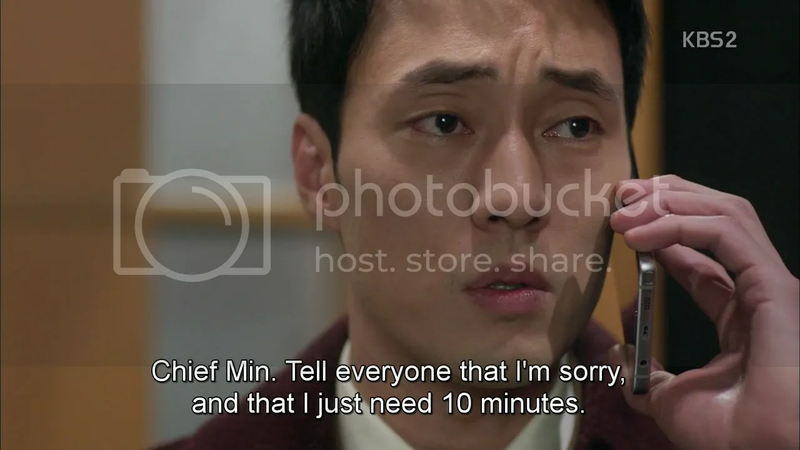 Chief Min chooses the worst time ever to tell Youngho that everything’s ready and Jooeun makes her excuses and leaves. Sitting in her car she thinks back to what Youngho says about never having proposed or said that she was his first love. She receives a call from her mother and says that she’ll be home soon. 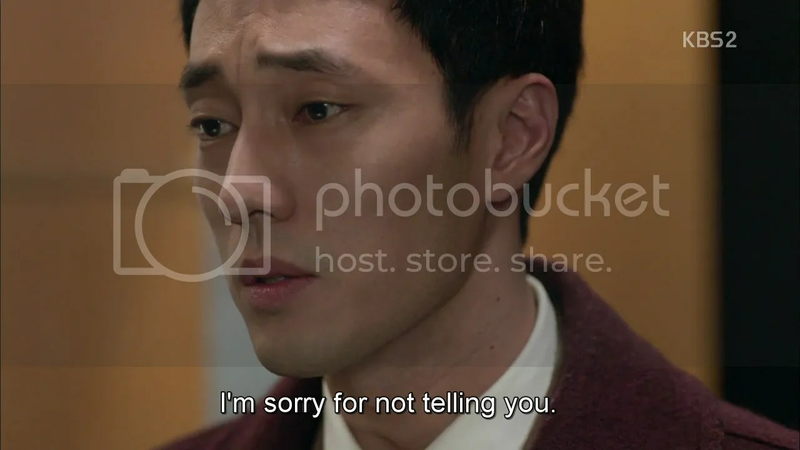 Soojin and Youngho says their goodbyes formally before he leaves, telling Chief Min (and loud enough for everyone else to hear, including Soojin) not to follow him as this has to do with his private life. Soojin watches him leave thoughtfully. Youngho returns home and searches for Jooeun but she’s nowhere to be found. He calls her (he has her saved as Daegu’s Venus, haha) but she doesn’t answer. 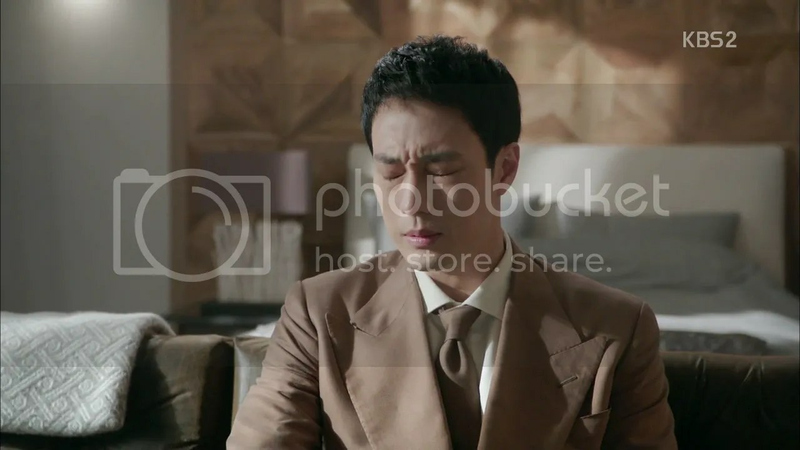 He calls Jiwoong who’s watching Joonsung get made-up for his photoshoot with Jang Yijin. Jiwoong tells him that ‘ma’am’ is at her hometown today. 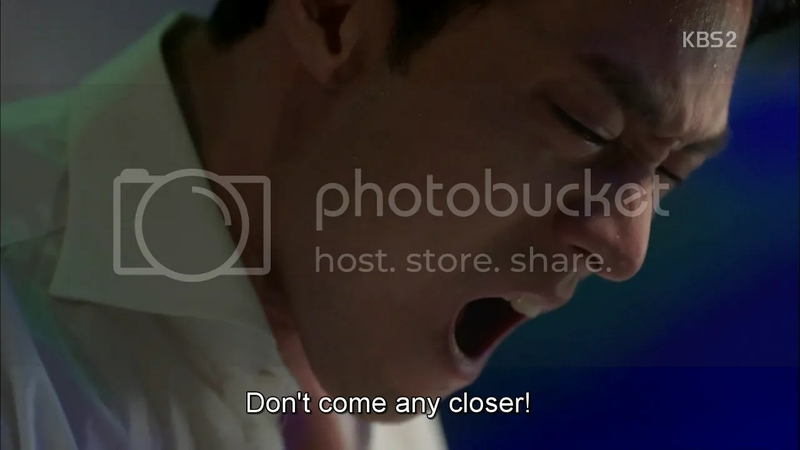 Youngho relaxes a bit but thinks back to what Jooeun said much earlier in episode 3 about how she hated being deceived. He recalls her shoving his hand away and all the other things she said and winces (though that could also be because of his leg, which he’s massaging), cutting a lovely, lonely profile. Joonsung’s photoshoot begins and Jang Yijin uses every pose as an opportunity for skinship. Jiwoong happily eggs her on. 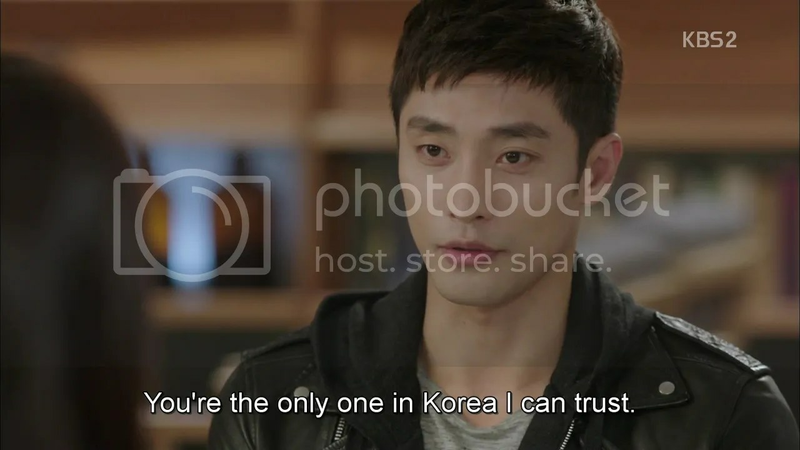 And Joonsung’s looking mighty fine. After the shoot’s one Yijin trades a famous actress’s autograph with Jiwoong for 5 minutes with Joonsung, who frankly looks horrified. …and only one missed call from Youngho. He still hasn’t called an hour later and she scoffs at his lack of pursuit and starts to tear up a bit. Right then she gets a message from Youngho. Seeing as she’s Daegu’s Venus, he surmises that she mus tbe in Daegu. He asks her to come out, saying that he hates being cold. She’s gleeful and runs out to Ayang Bridge (I’m curious as to how she knew he was meeting her there). She sees Youngho waiting there and runs towards him. He sees her and turns. Brb, dead. I want to hug him too. He puts his scarf around her and she realizes that he has another one underneath. Aww, it’s a couple scarf. They walk around and Youngho notices that she’s wearing make-up and took off her glasses. He wonders if she expected him to do something. Oh Youngho. Jooeun says that her vision isn’t that bad, she just liked to make herself look smarter by wearing them as a teen, and it became a habit. He’s happy that her eyes are fine. She warns playfully that she’s not that easy a woman to be won over that fast. He wiggles her arm up and down saying that she seems pretty loose to him, and uses the movement as an excuse to hold her hand. While he was in such a state, his mother passed away. He couldn’t bow to his mother’s memorial, feared his father pitied his grandmother and was frightened in general so he avoided his family for years and years but had to come back and take this position. He says that it wasn’t that he didn’t want to tell her but that he couldn’t. 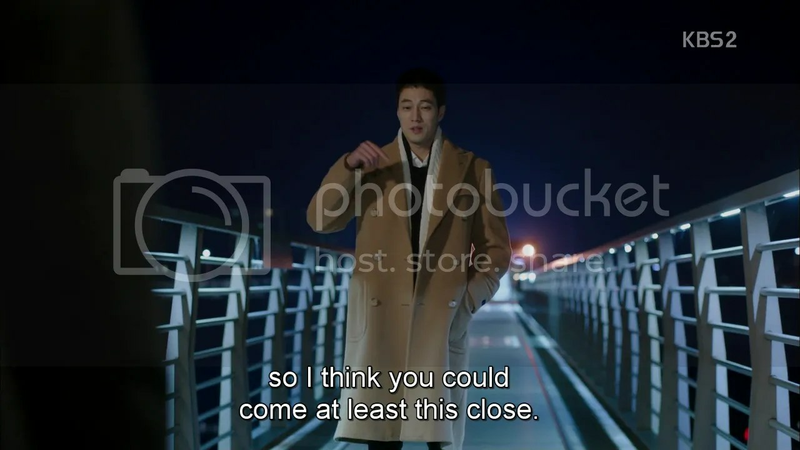 Why can’t every K-drama couple talk things out this way? She punches him in the stomach after which he takes the opportunity to feel hers. HAHA. Youngho must’ve said yes, because Jiwoong disturbs Joonsung in the midst of training to say that Youngho’s sent a message saying that he won’t be home tonight. 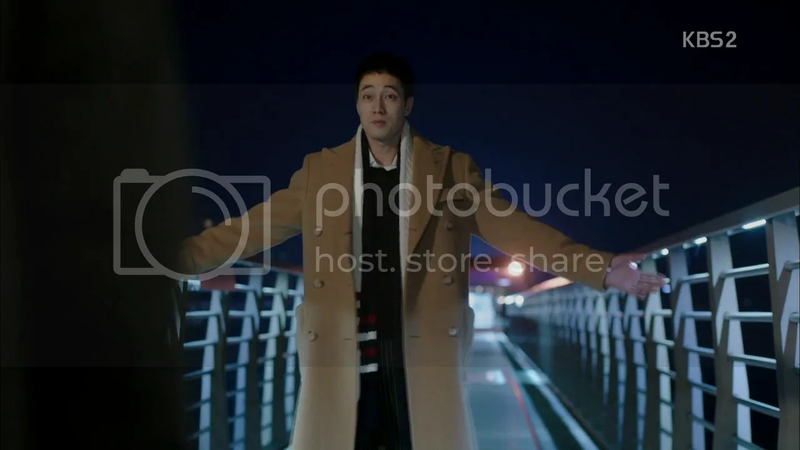 He’s call winkwinknudgenudge and Joonsung doesn’t get what the hell he’s saying so he races off to make ramen. This guy. Meanwhile Jooeun and Youngho are awkwardly comfortable ensconced under the sheets. 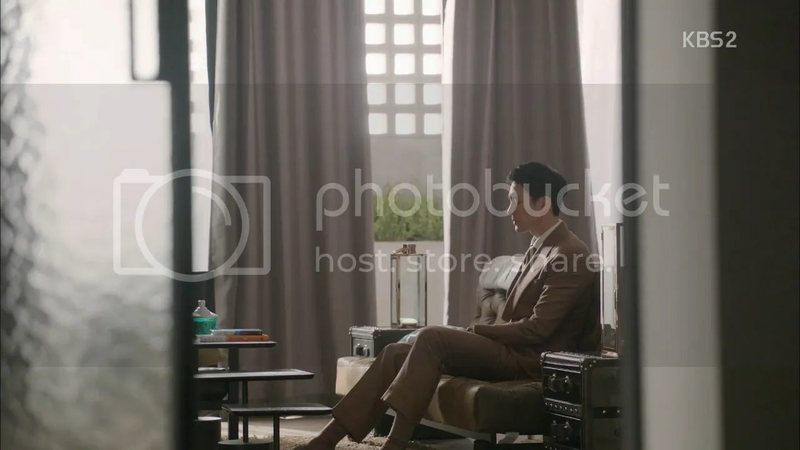 To make things eveb more awkward, Jooeun’s father’s funeral portrait hangs right in front of them. Youngho hilarious apologizes to him, while holding Jooeun’s hand. She tells him to just take a nap. He asks whether she’s expecting hanky panky, hence why she sent her mother to her brother’s place. She ignores his innuendos and comments on how he didn’t brin gup exercise today. Youngho replies that exercise was why he asked her to meet him at the bridge instead of him coming to her place. 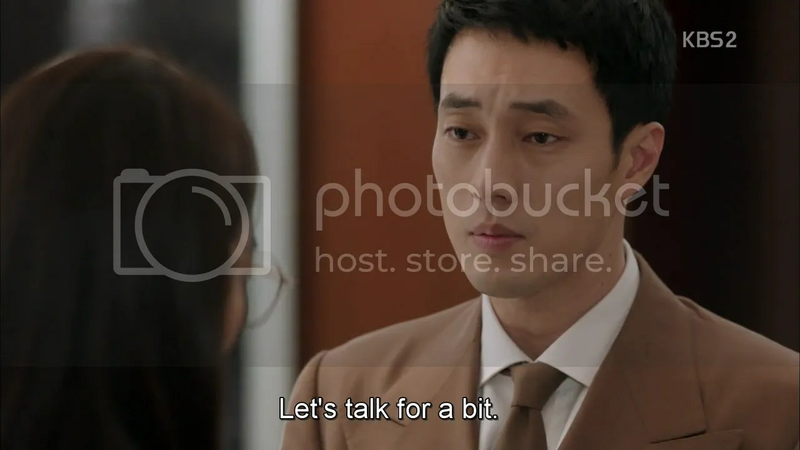 They bicker over that a bit more before Jooeun turns serious, asking him if he has to take the position as Director. She notes that he doesn’t seem to want to do it, or he’d have returned of his own voliton. She yells that she isn’t prepared and he’s all like ‘but I saw you unprepared on the plane anyway’ and they bicker over whether she was wearing a belly belt or a corset. But Youngho isn’t up to anything nefarious, he just wants a cuddle. He sleepily mutters that she shouldn’t get sick. All is quiet for a bit, and then Jooeun starts to snore. Youngho grins wryly and opens his eyes, not having slept at all. He wonders how sleep can come to her at a time like this and gently covers her. 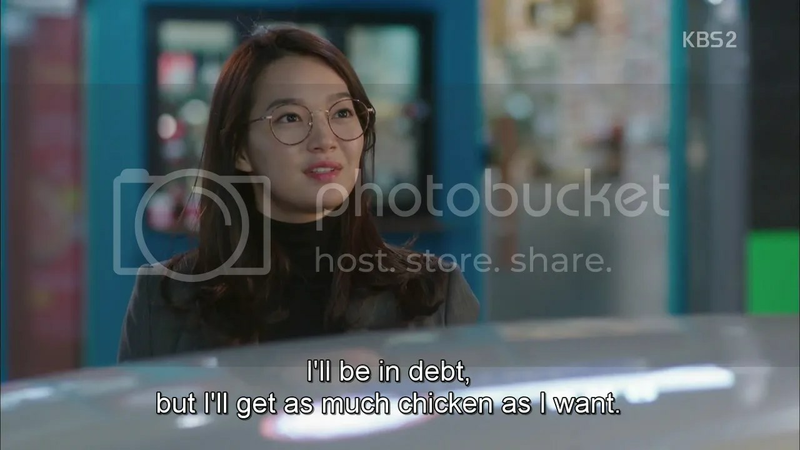 Soojin’s home from a shopping spree. 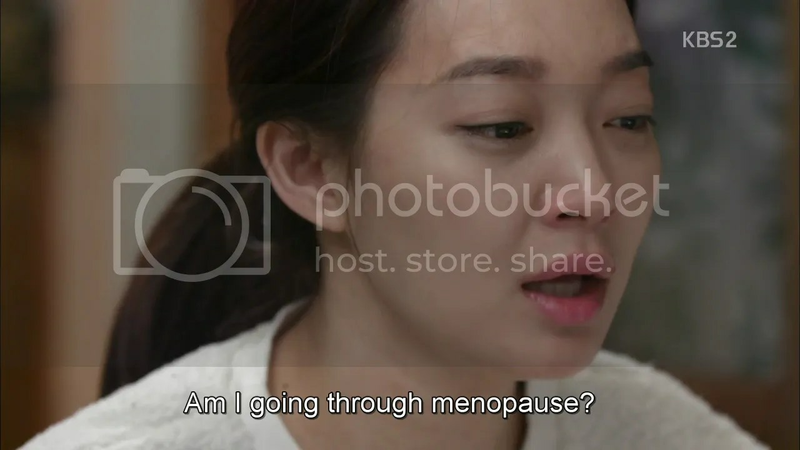 She bitterly recalls the moment when Youngho came in and froze at the sight of Jooeun. She calls Wooshik twice looking panicked but he doesn’t pick up. Taking some medicine, she collapses on her sofa saying that everything all those pretty women had should be hers now that she’s this beautiful. 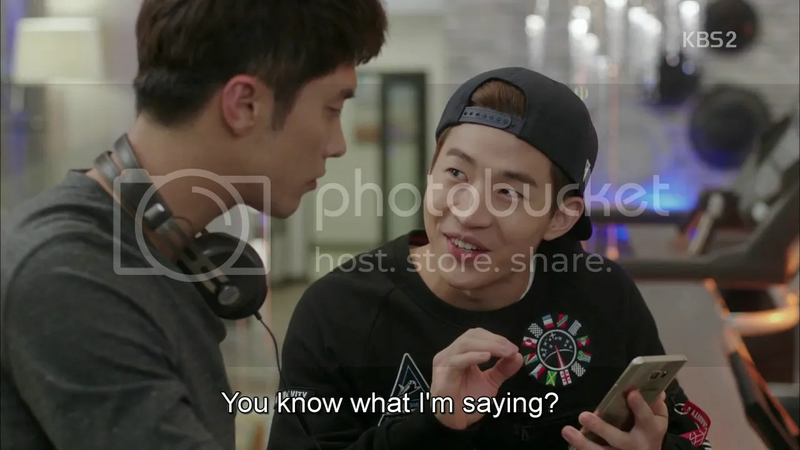 Meanwhile Wooshik’s drinking with Go PD, Hyunwoo’s ex, who mentions that he’s been digging and the house owned by John Kim in the US, is under the name of someone called ‘Lee Hong Im’ which is Great-Grandma’s name. It means John Kim could be one of the Gahong family. They haven’t confirmed whether it really is Great-grandma or someone with the same name, but once they do, this’ll be media fodder. 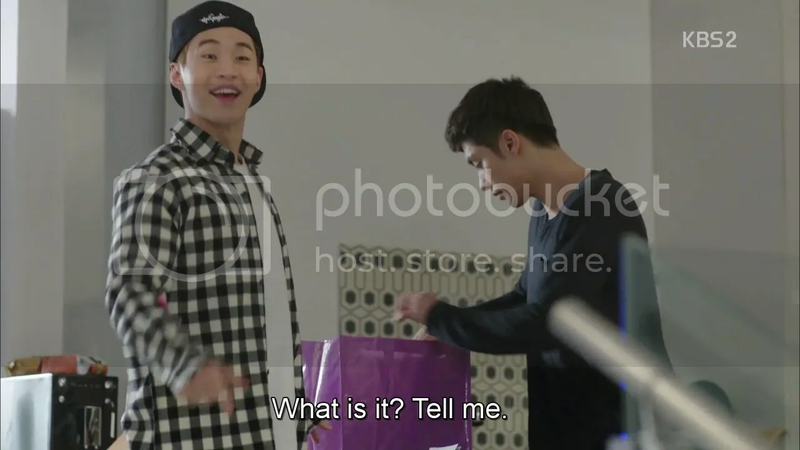 Wooshik asks him to hold on releasing the info just yet, until his side can confirm it, and to not tell Jooeun or Hyunwoo about it. Youngho leaves Jooeun’s medication by her pillow before leaving. He’s picked up by Chief Min and two other cars (Why does he need so many cars?) and dares Chief Min to say something. He just smiles and says that it’s Youngho’s private life. They drive away. 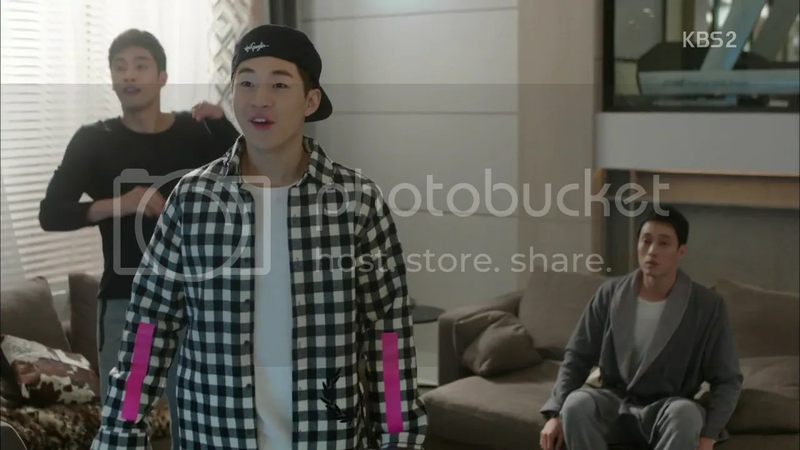 Wooshik and Youngho’s stepmother’s scheming brother are at it again. Ugh. It’s the same song and dance. 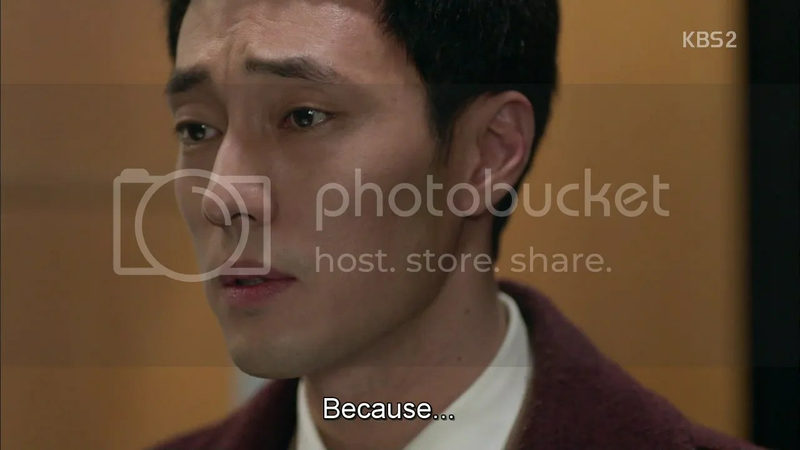 President Choi got fired due to Chief Min finding his slush fund so there’s no one on ‘their’ side. 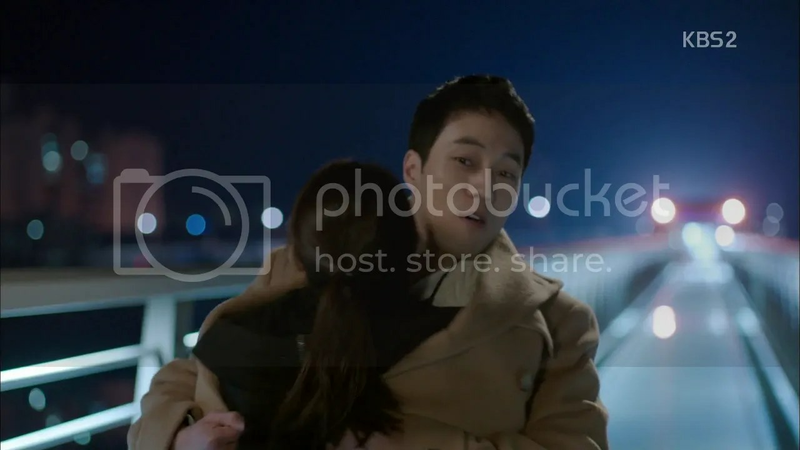 Wooshik leaks that John Kin could be Youngho and they could exploit his scandal with Anna Sue and Youngho’s step-uncle gets mighty happy. The less screen time we spend on them the better. Meanwhile the boys are dying of laziness. 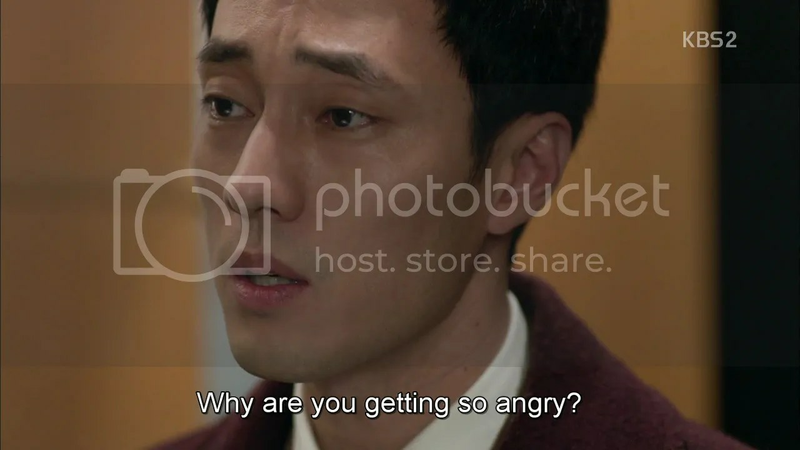 Joonsung wonders why he feels so down. Youngho wonders why it’s been 5pm for so long. 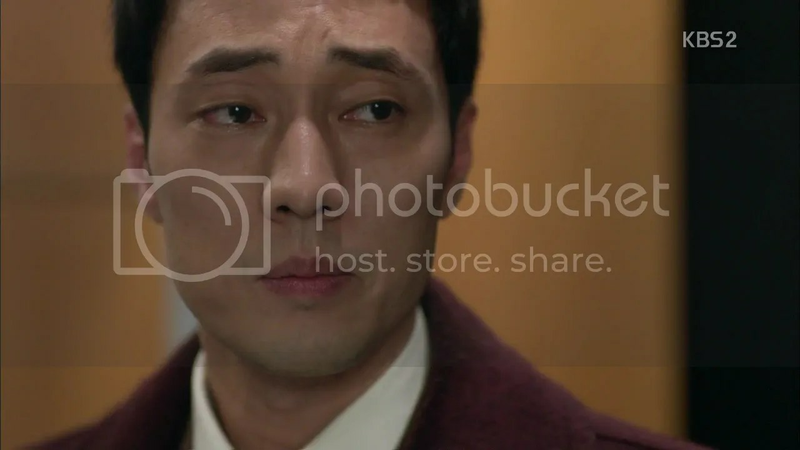 Jiwoong realizes it feels like it did when they were corpsing for Kang Jooeun Day. The mention of her name perks them up. Aw, the boys miss her. They hear her enter and jump up instantly with matching expression of delight. He’s all excited when she comes close but deflates when she says they’ll talk later, it’s too embarrassing to announce to the boys that they’re dating Youngho instantly tells Jiwoong that his ‘ma’am’ has something to tell him. 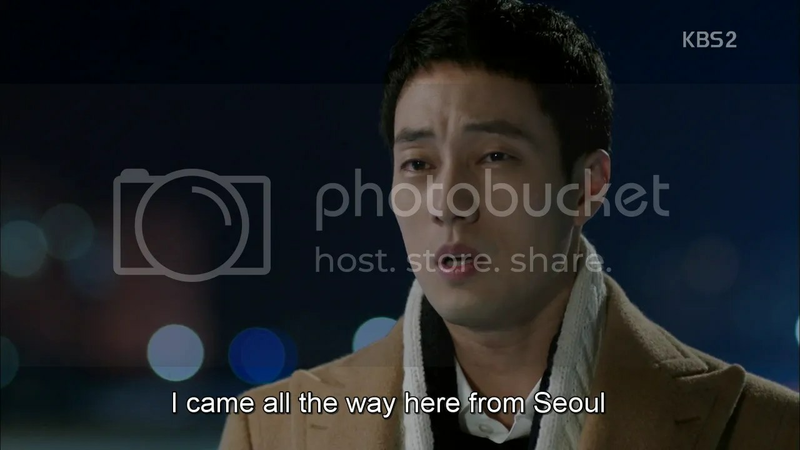 Joonsung sets off to kill Jiwoong while Jooeun comments that Jang Yijin’s known for being picky. Youngho watches her leave very fondly. Jooeun slumps on her bed and thinks back to the previous nights events with a smile. She wakes up to Youngho yelling that it’s PT time. 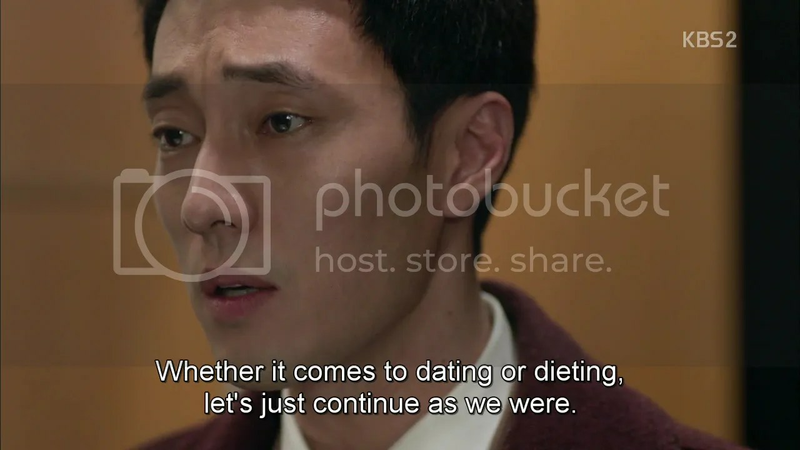 She tells him that they’re dating now so he shouldn’t go so hard on her, but he sees it as more reason to keep her healthy as he wants to enjoy the sweet side of life for a long time. But I know someone who does! [Sorry guys, I just can’t pass up a reference to KMHM] They start some new stretching exercises which Jooeun finds very painful and…make for very interesting screencaps. Using every excuse for skinship, isn’t he? 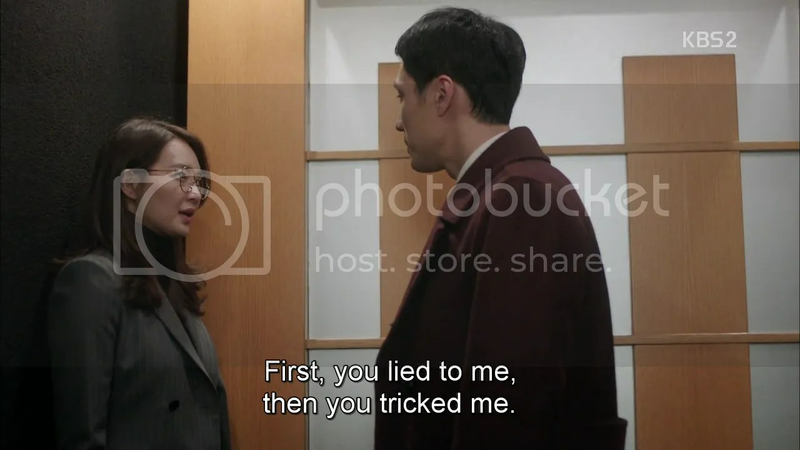 Jooeun’s in Soojun’s office the next day and long story short, Soojin wants info on Jooeun’s relationship with Youngho. 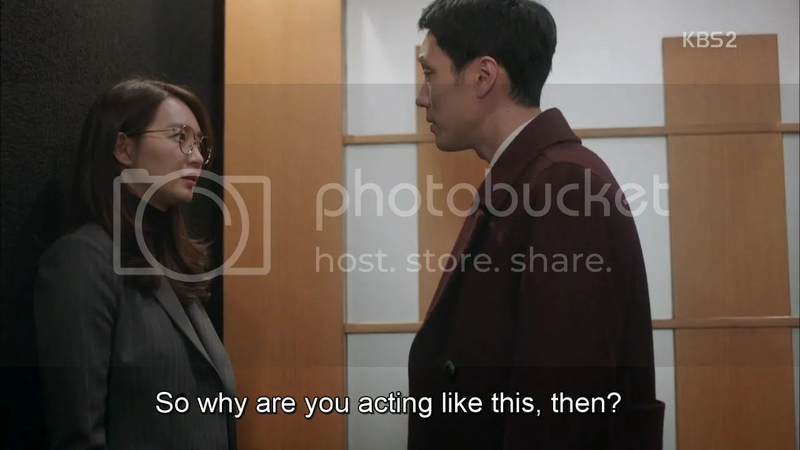 She disguises the query beneath comments on client privacy and needing to know the status as Jooeun’s superior but Jooeun gets it all right, and tells Soojin that such questions are an invasion of her privacy. 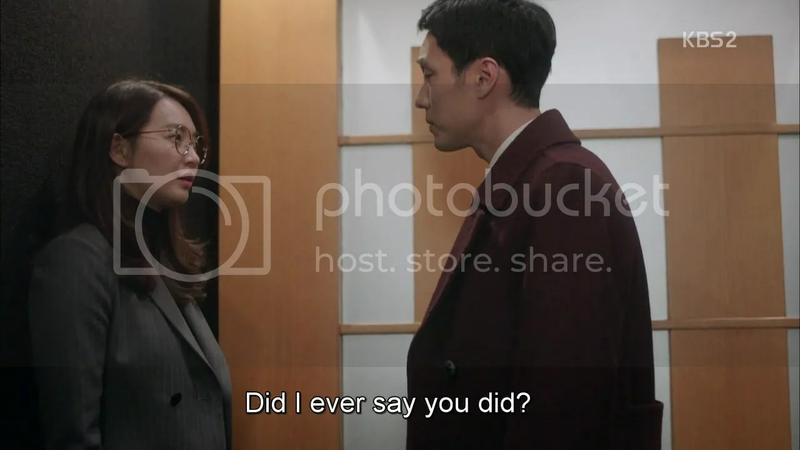 Soojin doesn’t believe that Jooeun has anything private going on with Youngho and sees it as a childish attempt at revenge but Jooeun retorts that she doesn’t have that much time on her hands to plan for revenge and leaves her the office with a ‘well it was a good morning’ (meaning that Soojin ruined it). Youngho goes to a meeting with the present board of directors (only 5 other people?). 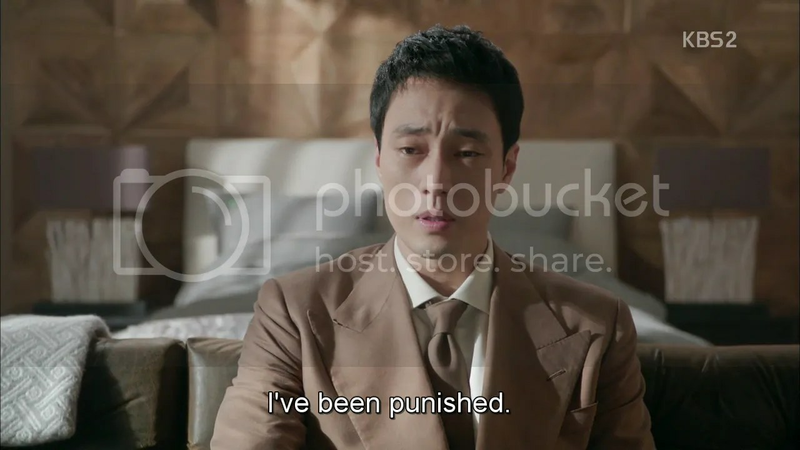 His step-uncle and Wooshik are among them and Youngho’s face closes up when he mentions that he was the only person to have seen Youngho as a child. 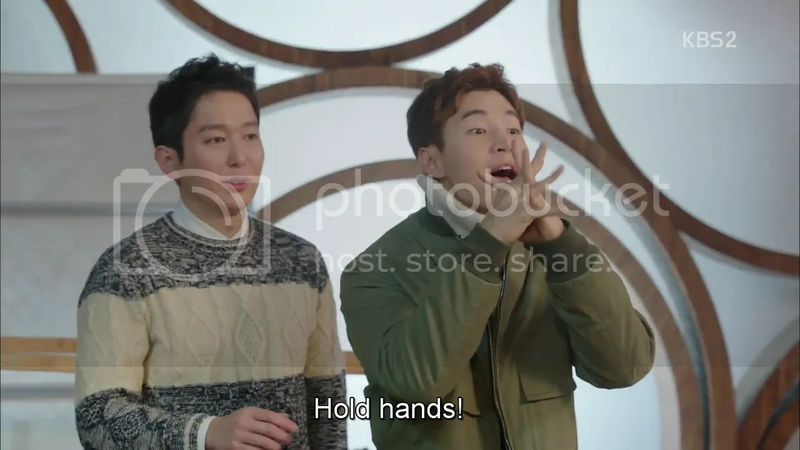 Wooshik and Youngho go through the motions of a formal introduction before Youngho leaves, Chief Min in tow. The directors start gossiping instantly, though the step-uncle notes that he looks nothing like the purported pictures he’s seen of John Kim. 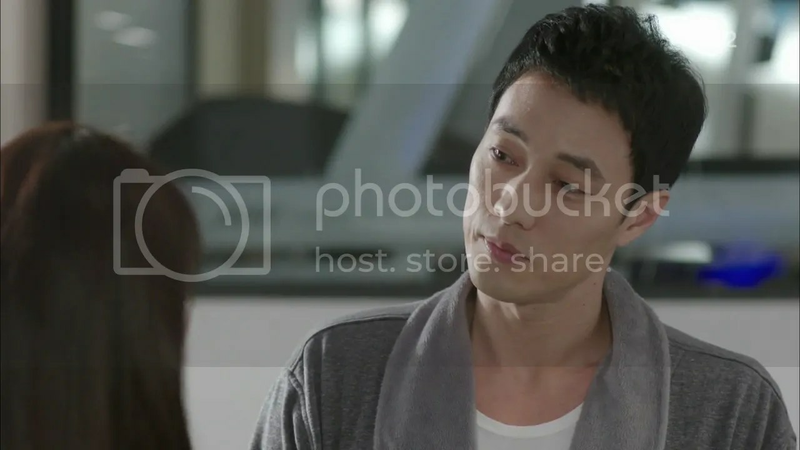 Jooeun gets a call at work and is surprised when Joonsung asks her to meet him at a nearby cafe. He’s nervous but relaxes when she gently asks him whether he wants her to find his mother. He says he’s already found her but she doesn’t want to see him. He just wants to see if there’s something he can do for her. 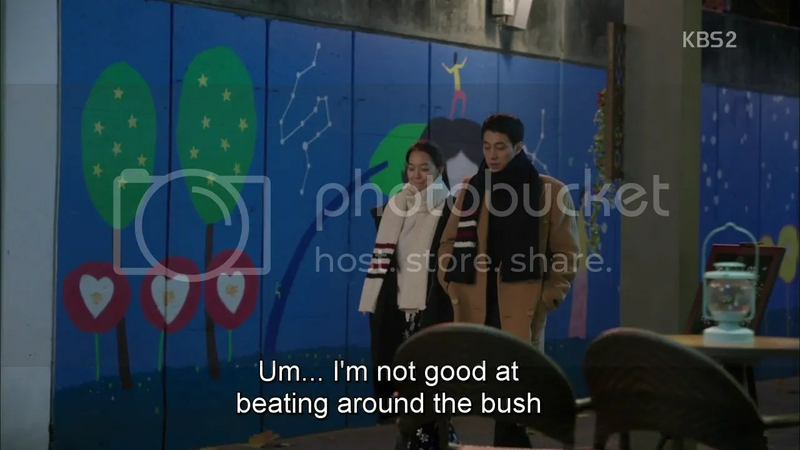 He drives her back with Jiwoong and she says she’ll be moving out next week, as it’s difficult for her to mooch off others. Both the boys say they’ll miss her. Jiwoong notices that it’s snowing and asks Jooeun whether she was able to lose 5kg for them to go camping before it gets colder. 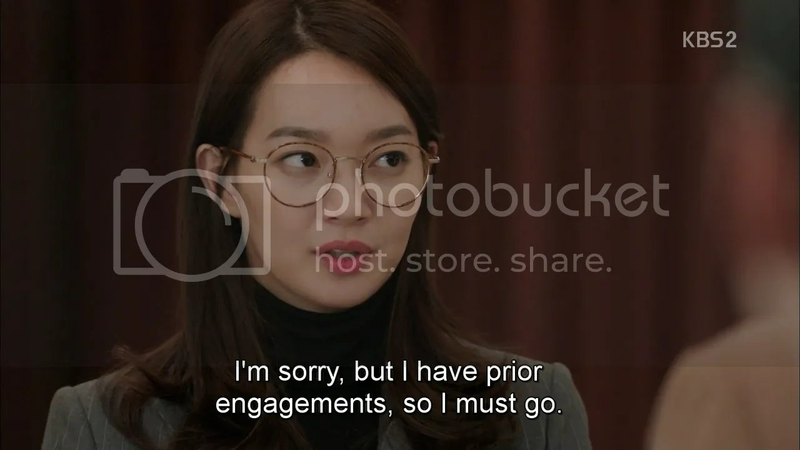 Jooeun forlornly notes that she couldn’t but decides to persuade Youngho into them going anyway. She calls him upon getting home but the house is empty. She wanders into his bedroom and (is awed at the size of the bed) pauses at the clothes strewn on the floor leading to a painting. She calls Youngho and hears his phone ringing beyond the painting. Now there’s an ending. Please don’t go down the disease route, show. You’ve been doing a good job so far. I don’t think their doing the disease route (hopefully). I think going to the company and his step-uncle bringing up his childhood put him in a bad place.